Fix an issue with "Paste and Match Style" when pasting formatted text into Boxy from other apps. Next story Curio 12.0 – Brainstorming and project-management app. Previous story PDF Checkpoint 1.8.5 – Preflight multiple PDF files, automate other operations. 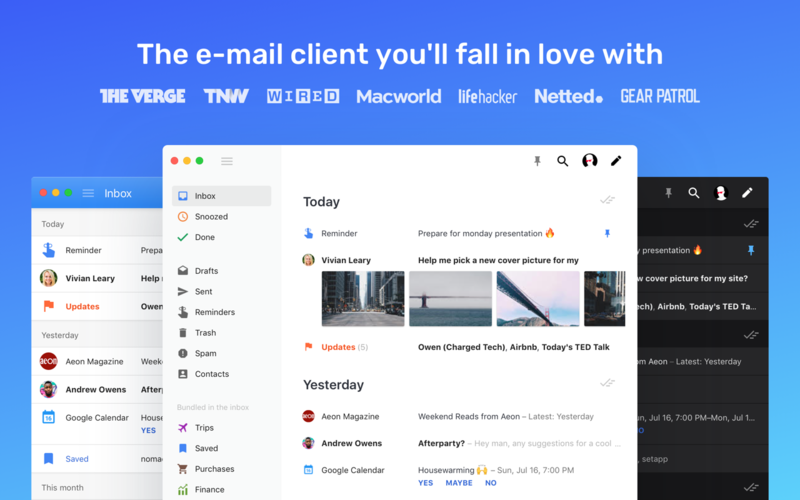 Mailplane 2.5.11 – Bring Gmail to your Mac desktop.